Ringtones for Samsung Galaxy Tab 3 7.0 Lite - free download. Download ringtones for Samsung Galaxy Tab 3 7.0 Lite! You can always find thousands of the most popular mp3 songs. To download free Samsung Galaxy Tab 3 7.0 Lite ringtones click on the link below. You can also go to the thematic section of mp3 tones in the menu on the left. By the way! On our site you can make your own free ringtone for Samsung Galaxy Tab 3 7.0 Lite and download it. 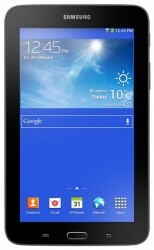 Download Samsung Galaxy Tab 3 7.0 Lite ringtones free! Our site comprises the best free ringtones. Samsung Galaxy Tab 3 7.0 Lite has its original ring tones, but in a few weeks they will tire you and you'll want something new. Mob.org archive is updated daily with new and high quality mp3 music ringtones, which you can download without any payments in one of the convenient ways: to a phone through wap.mob.org or to a PC. In addition, you can use our ringtone maker and create your own cool melodies.